Envision your summer adventure: Is it learning how to make your own short films? Playing sports? Our summer programs include everything from the studious to the fun. Every week, beginning mid-July and running through mid-August, students in Grades 5 through 12 have the opportunity to try something new. Below are the full details of our many summer offerings. Click the Register Now button. Start your registration by telling us the name of your child, or children. Select the program(s) you want for each child. Please be sure to click the dot next to the program and the session. After selecting programs for each child and agreeing to the program waivers, we will collect your information, emergency contact information and basic information on your child (including allergies) so we may better serve you. Questions may be directed to Mr. Patrick Driscoll at 781.944.4900 x777 or patrick.driscoll@austinprep.org. Time: 9:00 a.m.- 3:00 p.m.
Credit: After successful completion of both weeks, the student will become eligible to enroll in Filmmaking 2 during the Austin Prep academic year. Video production is a twenty-first century skill that is valuable for all students, regardless of career interest. With cameras on every phone and editing software cheaper than ever before, all career paths require individuals who can express themselves through video. Our Filmmaking and Directing course is a two-week program targeted at providing students the fundamental filmmaking skills which will allow a student to craft an effective video, and then the directing skills needed to effectively lead and collaborate with others. In the first week, students will learn how to use industry-standard cameras and software to master elements of cinematography, lighting, and editing through a variety of short film projects. In the second week, the students will prove their mastery by teaching and directing students in our Filmmaking Studio program on how to use the equipment and how to compose effective films. On Friday of each week, families are welcome to join us as we screen the films from the week. Austin Prep students who successfully complete the two weeks are then exempt from the prerequisite to take an introductory Filmmaking course in the 2019-20 school year, and may directly enroll in the more advanced Filmmaking 2 course. If students are unable to participate in both weeks of the Filmmaking and Directing course, they may still participate in the first week, learning how to use industry-standard cameras and software to master elements of cinematography, lighting, and editing through a variety of short film projects. Families may join us on the Friday of the week for a screening! Hollywood dreams start here! Our Filmmaking Studio is the perfect place for a student starting her/his video production journey, or for a more experienced moviemaker to refine and practice skills with professional equipment and an experienced staff. Students learn from industry experts to write, produce, edit and publish their own short films, engaging hands-on throughout the entire production process. Projects include small skits, news reports, and music videos as filmmakers learn screenwriting, lighting, cinematography, directing, graphic design, audio mixing, editing, color correcting, and special effects. Students unlock their creativity and immerse themselves in exciting, self-driven projects. On the final day, families are welcome to join the students as we screen the videos produced during the week. 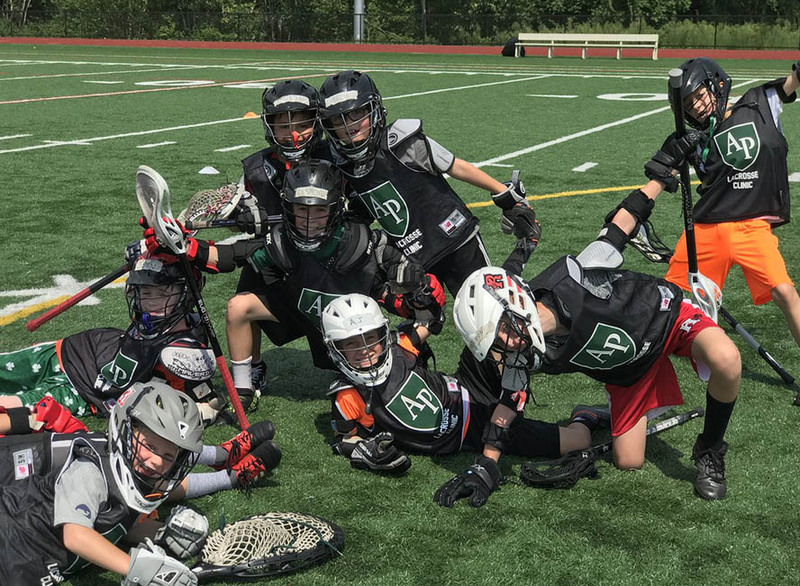 This clinic, for boys grades 3 - 8, covers lacrosse fundamentals through specific positional skills, and is geared to accommodate all levels of experience. Participants will benefit from individualized instruction and drills, and will put their training to the test during on-field scrimmages. You'll get it all in a fun and supportive atmosphere, where safe practices and respectful teamwork are a priority. Participants will need to bring their lacrosse stick, mouth guard, helmet, gloves/pads, sunscreen, water, and appropriate clothing for weather conditions. Lacrosse instruction will be provided by Austin Prep Boys Lacrosse Varsity Coach Peter Smyth. Join Austin Prep Head Varsity Basketball Coach Duane Sigsbury, and his staff for two separate weeks for the Boys Basketball Clinics, for grades 3-11 will offer players the opportunity to get instruction in the fundamentals of basketball in a fun and safe environment. There will be offensive, defensive, ball handling and shooting stations, as well as team games and competitions. Participants should bring a light non-refrigerated snack each day, including water. Time: 8:30 a.m.- 11:30 a.m. Participants will develop confidence in fundamental lacrosse skills to improve coordination, strength, and speed. The program will emphasize teamwork, catching, passing, defense, and game scenarios. Athletes will receive personalized instruction from coaches. Students from all area schools are welcome to attend. Participants will need to bring their own lacrosse stick, mouth guard, goggles, sunscreen, water, and appropriate clothing for weather conditions. Lacrosse instruction will be provided by Austin Prep Girls Lacrosse Varsity Coach Amy McNeil. Raising 4th graders – Raising 6th graders 8:00 a.m. – 10:00 a.m. The Girls Basketball Clinic, for grades 4 through 9, will provide the players with a positive and encouraging environment where they can improve their basketball skills. Participants will be instructed in all areas of the game. Each day will consist of fundamental skill stations, individual and fun team competitions. Our goal is for every camper to have a positive, fun-filled experience while leaving with the tools to become a better basketball player. The Austin Prep Girls Basketball Coaches and Upper School Players will lead the instruction each day. For questions and registration, visit the 5 Star Academies website here. For information and registration, visit the JSS website here. Time: 8:30 a.m.- 5:00 p.m.
For questions and registration, visit the Empow Studios website here. Time: 9:00 a.m.- 4:00 p.m.